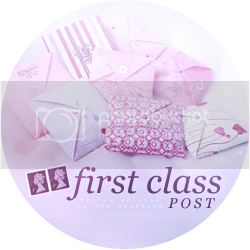 Far From You by Tess Sharpe (proof) - Yes, I did include this in my First Class Post post last week. But that copy was one I borrowed from work. However, as I wasn't sure if I'd read it before I was due to return it, I requested my own copy. This is it. I've now read this book - amazing! See below for my review! 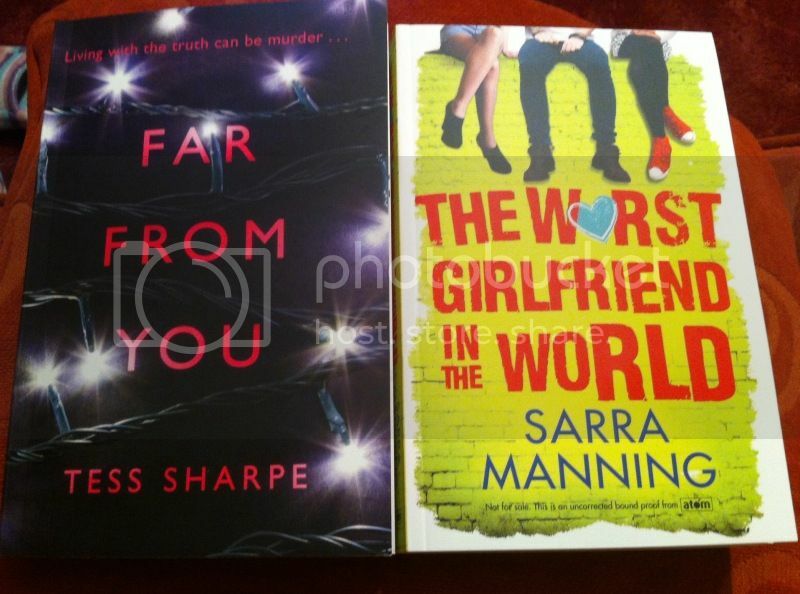 The World Girlfriend in the World by Sarra Manning (proof) - It's Sarra Manning. She is awesome. I need to read more of her novels. What more is there to say? Thanks to Indigo and Atom for the review copies. This week I have read 3 review copies, which brings my total for the RCCleanup up to 9. I've done as well as the previous two weeks, which I'm pretty surprised about as I've been away visiting family, so I'm pretty pleased! 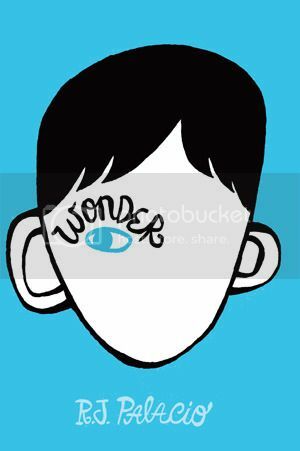 I read Wonder by R. J. Palacio at long last - I've had it for quiiiite a while. It was a good book, but sadly I didn't really love it. Expected it to be a lot better than it was. 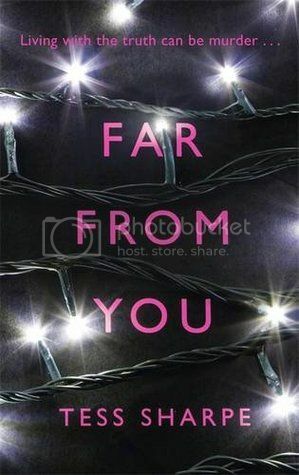 I also read Far From You by Tess Sharpe, which was a whole lot better than I expected! Really amazing story! I'd highly recommend it. And I read Alex As Well by Alyssa Brugman (not pictured as the UK jacket image isn't yet available). Really good book about an intersex character. In some ways a little lighter than other books about intersex characters I've read. Quick too! My review will either come soon or in May when the book is published, depending on the publishers. Book bloggers should definitely check out BookBridgr! It's a website especially for book bloggers to request review copies, register interest in blog tours, and request extra content from Headline! Read more about what it's all about here on The Bookseller.